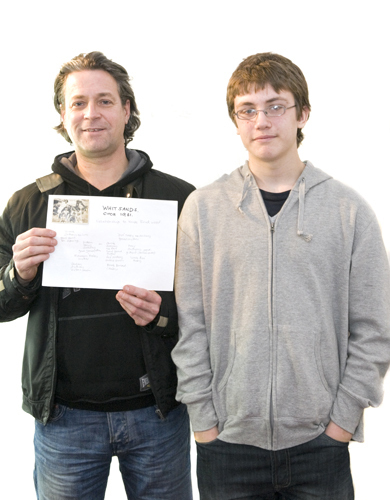 Artefact Description Black and white family photograph. 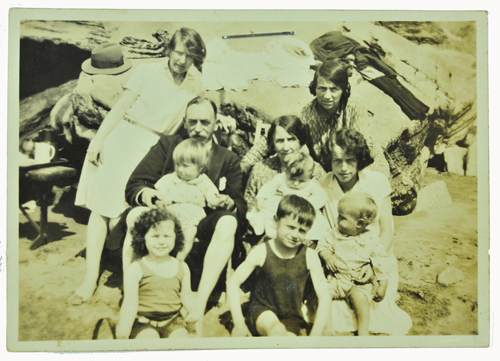 History of Artefact A photograph of the ‘Haley’ family at Whitsands Bay, Cornwall. It features Neale’s mother, grandmother, great-grandmother and great-grandfather, two uncles, mother’s two cousins and two great aunts. That's fantastic to have a permanent record of my ancestors on the internet. My only suggestion is that the Interesting comments in the special memories are actually proposals form the historian rather than my memories - i wasn't around then! Well spotted! I have put John Stedman (Portsmouth City Museum historian) by the quote, he made the comment at the public session originally. Don't worry, you really didn't appear that old at the public sampling session! How amazing , this photo triggers off enough memories to write a book !!! My first memory comes from Whitsands Bay , I remember being in a car and being shown out the window and seeing an expanse of sky and far below the sea . When the car stopped I was carried by the driver down a steep path , then I was in a pram on a small wooden balcony of a chalet looking over the side of the pram and seeing the sea far below. I know I was only ten months old as verified by my very suprised mother when I asked her about it as an adult . The reason we were there was because of the bombing in Plymouth, our house had been bombed and my mother thought that we would be safe at Whitsands Bay. She was very familiar with the area as her father came from the next bay along .